There’s no denying, entrepreneurs — or those aspiring to be — must retain as much knowledge as they possibly can and they must also continue to grow it. That’s because, in order to be successful in any market, you’ll need to hone your skills, knowledge and be vigilant in your work. That’s why, in addition to knowing your business, employees and various strategies for success, you must also know how to use all the tools at your disposal. These days, those tools are mostly composed of modern tech and software. You don’t have to be a techie at heart to be a successful entrepreneur, but there are several forms of technology that you will need to understand — and know how to use appropriately — to stay afloat. This rule can also apply to many job-seekers and business professionals looking to enter a high-profile market. At the very least, adding these particular skills to your resume will improve your personal branding, making it more likely you’ll land a position. Without these skills, you might not fail, but you certainly won’t rise above your peers and that’s important. To make an impact for your business or brand, you’ll need to know a lot more — and have a lot more tools at your disposal — than just the field you’re entering. Simple skills like Web design techniques, working with social media and communication tools, and even marketing will greatly affect your success. Ultimately, you’ll need to know a lot more than what’s listed here, but these are some of the most important tech skills required if you want to reach the top of your field. Social media isn’t just for personal use, it’s a remarkably effective communication and marketing platform for businesses too. If you don’t have a business, it’s also a great place to improve your personal branding. You can always hire a team to handle this process, but successful entrepreneurs always knows how to do the work themselves. It’s not just about using the big networks like Facebook and Twitter, either. You’ll also need to know how to make a splash on new networks and how to market across all of them — even some smaller ones that might crop up later. Understanding how to communicate with your audience and manage customer support is just as important. The social media space is always evolving and changing and you need to be ready for it. It’s a bonus if you have experience or know your way around social media tools like Hootsuite and Buffer, too. This is one of the first skills you should focus on if you don’t already have experience. Knowing how to wireframe a page is more technical in nature than it is technology-based, but it’s still just as important. Once you know how to complete a wireframe, you’ll have a better understanding for how Web pages, apps, software and various projects are designed. At first, you may wonder why this is important, especially since you’ll likely have a development, tech or product team to handle this. It’s because, once again, knowing how to do the work yourself means you can communicate more effectively and more openly. In addition, if and when you run into problems, understanding the process will allow you to better visualize a solution. Since this is a particular skill you’ll want to know before starting up a business, some great resources to look at are Digital Telepathy and Wireframe Showcase. Local storage has taken a backseat lately, and now everything is being stored in the cloud. Cloud services like Google Drive, Dropbox, Salesforce and many others are ideal for sharing large files and hosting community-based file systems. This is especially important if you’re working on an app, piece of software or similar tech-related platform. A solid understanding of the cloud — including what it is and how to use it — will make you a more efficient collaborator, improving your competitive skill set. HTML and CSS are integral to website design and administration. In fact, HTML is one of the most widely used languages in Web development. At the least, you should have a basic understanding of these core technologies so that you can better understand websites and the Internet as a whole. From the onset, it’s tough to pinpoint times where you would absolutely need this skill; but when you’re in the thick of it, HTML and CSS knowledge will definitely come in handy. Consider the times when you’ll need to generate a Web page for your business, or your professional portfolio, and when you’ll have to customize said portal. You can hire a Web developer to handle the heavy loads, but you’ll still need to understand the basics to shape the website to your liking. Plus, it will help you better understand and communicate with your team of Web developers when the time comes. SEO — or search engine optimization — is not as impactful as it once was. That doesn’t mean it’s any less important in the world of marketing. You simply cannot hope to survive if you don’t understand the basics of SEO, and how to use it to your advantage. It’s still a considerable factor in the visibility of a website, and it’s especially important for small to medium businesses. A small company like United Yacht Sales — which has done an excellent job with its website SEO — can hope to remain visible in search results much longer. This in turn drives more traffic to its website, bringing in more potential business and ultimately resulting in higher profits. Naturally, you can see why this is an important skill for budding entrepreneurs. In the long term, you may have a team or group who handles the accounting and bookkeeping for your business. In the meantime, it would be beneficial if you understood the process and could complete it yourself. Since managing your books and finances is largely software and online-based these days, that’s where you’d need to focus your attention. There is a long list of accounting software you can use to aid with this task, but you’ll still need to understand the software package you choose and that includes knowing your way around it. At some point, you may need to dive in and help design or edit various images on your website. In other cases, you may need to assist in creating solid advertisements, fliers or promotional materials for your brand. 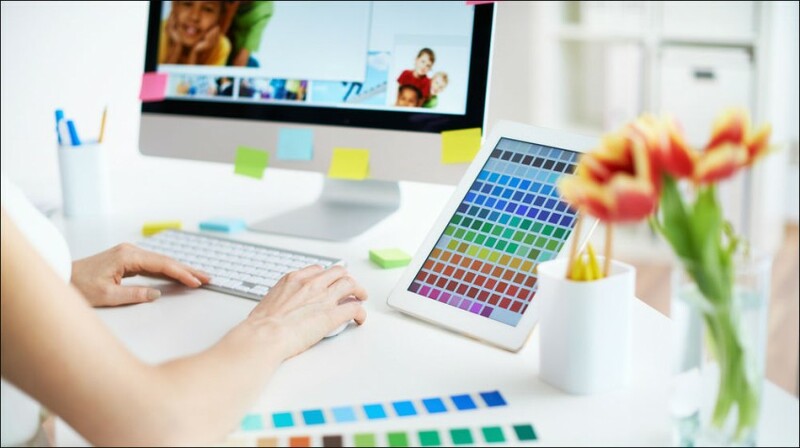 Whatever the case may be, understanding the fundamentals of graphic design and knowing how to edit and manipulate images is a crucial skill in today’s market. Knowing how to use design software like Adobe Photoshop or Canva will greatly increase your skillset and make you a more valuable asset. Expect this to be one of the personal branding skills that modern companies and marketing firms look for. As an entrepreneur, you have to be a go-getter. It’s not enough to leave outreach and communication solely up to your customer support and sales teams. In fact, for your business or brand to succeed, you’ll need to invest time marketing and communicating via email too. There’s more to it than just sending out blanket emails, of course. Understanding when, how and who to email are all parts of the equation. However, once you grasp the core ideas behind email marketing and can confidently reach out to potential clients yourself, you are well on your way to success.